Jesus crying out in a loud voice saying “…Father, into Your hands I commit My spirit.” (Luke 23:46, NASB) was a demonstration that He was triumphant. His death was not the end. His death was the beginning. The despair shown by Jesus’ 4th statement was replaced by intimacy. The Son and the Father have a restored relationship. Jesus knows the Father is with Him. Jesus demonstrated He has full trust in God, His Father, to receive Him into His eternal destiny. Jesus surrenders His life into the Fathers hands. He had completed His mission and it was time to return to the heavenly realm. Then Jesus took His last breath. He was buried in a borrowed tomb just before the Sabbath began. The tomb was sealed and a Roman centurion was posted by the sealed tomb because the Roman government wanted to make sure that Jesus’ followers did not steal the body at night and tell people He had risen from the dead. (Matthew 27:62-66). This is My Blood – shed for you. 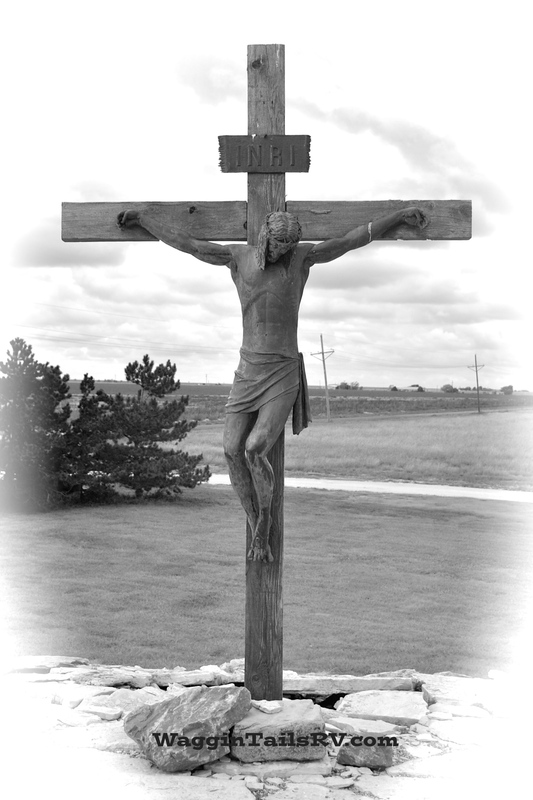 We’ve seen the deity and humanity of Jesus from the cross as He suffered because of our sins. God sent his beloved Son to this world so mankind would be saved from the wrath of sin (John 3:16). It is a gift to extended to all yet not accepted by all. The Apostle Luke recorded an event, in Luke 19:1-10, where Zacchaeus met Jesus. I remember learning this cute little song about Zacchaeus, when I was a child. and a very little man was he. He looked up in the tree. And said, ‘Zacchaeus, you come down! For I’m going to your house today! The Apostle John recorded the last public prayer of Jesus in John 17. This is the LORD’S Prayer. John recorded Jesus saying that He “finished the work He was given to do” (John 17:4, NCV). In the 6th statement from the cross, Jesus uttered “It is Finished. (John 19:30, NCV) There was nothing left for Him to do. He had completed the work of redemption. Thirst is a craving for fluids. A decrease in the quantity of water or an increase in the osmolite concentration causes the brain to trigger a craving for thirst. This is basic physiology from http://en.wikipedia.org/wiki/Thirst. Remember it was late in the day and Jesus had already be arrested, tried, beaten and nailed to the cross. He hung there for 4-6 hours when He uttered these two words, “I Thirst”, (John 19:28, NCV). Jesus was thirsty. His body was in a stage of shutdown and he was extremely thirst. The same Jesus that asked for a sip of water is the same Jesus who called Himself, the Living Water and demonstrated the He was the agent of God who uses the symbol of water to bring life. so I thirst for you, God. 2 I thirst for the living God. When can I go to meet with him? Jesus cried out with the psalmist; He was thirsting for the presence and fellowship of God the Father during their separation on the Cross. The Apostle John wrote in Revelation 22:17 The Spirit and the bride say, “Come!” Let the one who hears this say, “Come!” Let whoever is thirsty come; whoever wishes may have the water of life as a free gift. One of the most difficult things to understand about Jesus is the contrast of His dual nature – fully God and fully man. How can Jesus be God’s Son and human at the same time? This paradox about Jesus is difficult for many people to fully understand and accept. Hebrews 2:5-18 describes how God took on the form of mankind through His Son, Jesus, so that mankind could be saved from sin and wickedness that permeates this world. 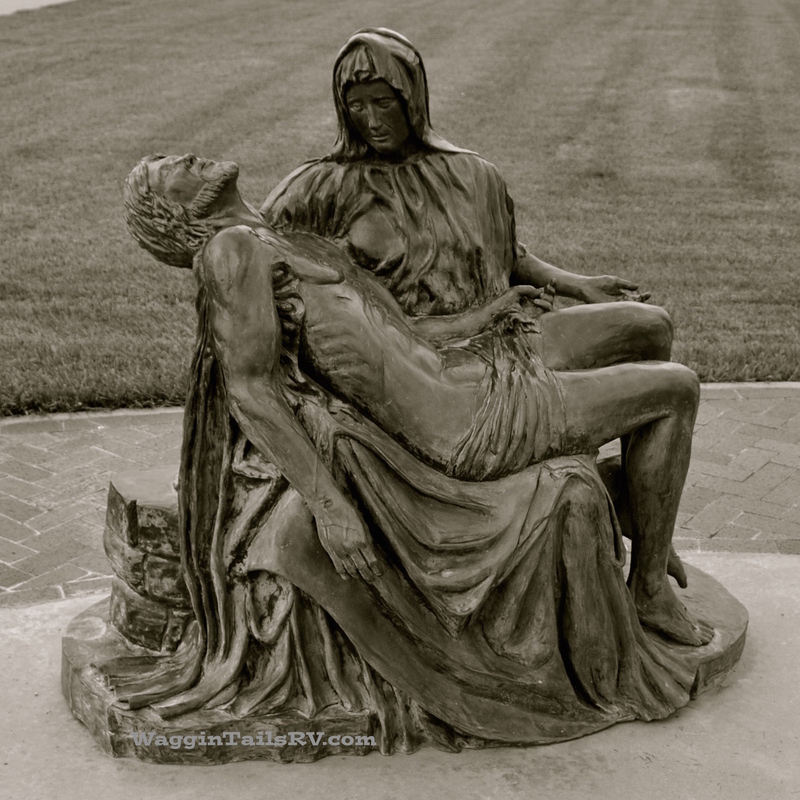 In yesterday’s post, we saw Jesus demonstrating humanity and compassion. Today we see Jesus exhibiting despair. Another contrast to His deity. Why in the world would Jesus, the Son of God, utter such a thing? Jesus became the sacrificial lamb who bore the sins of the world. The Apostle Mark recorded in verse 33 that at noon, the sky became very dark. And it remained dark for three hours before Jesus shout the question of despair. What caused this unexplained darkness? God is morally perfect and holy. He hates sin and cannot be in the presence of sin. When Jesus took on the sin of the world, God could no longer look at him. The sky went dark. God essentially turned His back on His only begotten son. The pain of that momentary separation was more agonizing than the physical torture Jesus endured. Jesus interceding for those “who know not what they do” and announcing assurance are examples of Jesus’ deity. Forgiveness and assurance go hand in hand. Jesus demonstrated that from the cross by His first two statements. With the third statement from the cross, Jesus demonstrates His compassion and humanity, a contrast to His deity. Jesus’ expression of concern for Mary was beyond that of a Savior. His expression demonstrates compassion as a son would have for his mother. This act demonstrates Jesus not only cares for His mother Mary, but also for our well-being and direction in life, even if we do not understand God’s plan. Jesus call us His friend (John 15:9-15). As friends of Christ, we should demonstrate a similar compassion of others on His behalf.